Sometimes simple is best. A bowl of fresh summer strawberries sprinkled with sugar. A chicken sprinkled with salt and pepper and roasted until the skin is crispy and golden. A crusty French baguette slathered with rich, salted butter. Hungry? Yeah, me too. So that's where this 'ice cream' comes in. I suppose it's not really ice cream at all, considering there isn't any cream in it. In fact, there isn't much in it at all- one ingredient actually. 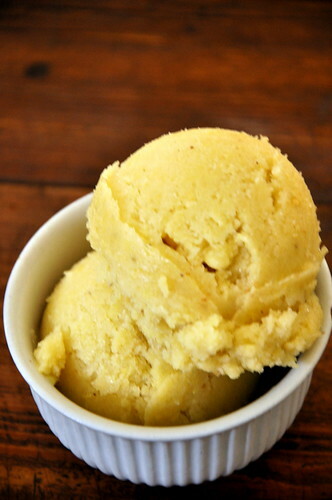 This one ingredient ice cream has been all the rage in the blogosphere. It's tasty, it's indulgent, and it's...healthy? How much better can it get? I had read something about roasting bananas. I'd never thought of it before, but it really makes sense. 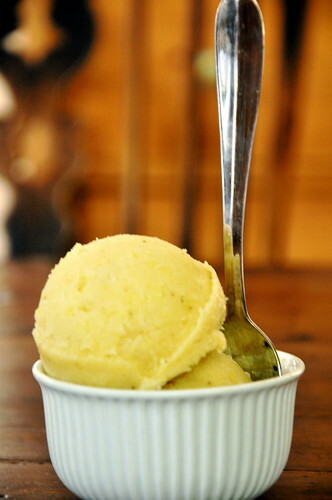 The sugar in the bananas caramelize, and the sweetness is heightened. 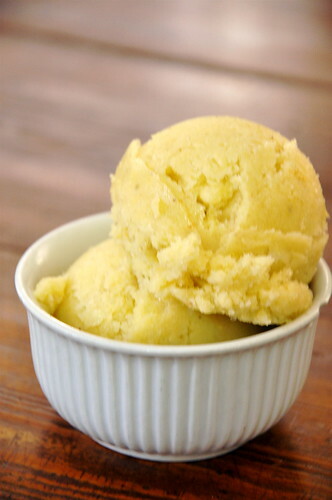 After you freeze the bananas and put them in the food processor, you are rewarded with a lovely, golden frozen treat, no ice cream maker required. Preheat the oven to 450. Line a baking sheet with aluminum foil. Arrange bananas on baking sheet. Roast for 30 minutes, until they are fragrant and the peels are black. Remove from oven and let cool completely. Peel and place bananas on a parchment-lined baking sheet. Place baking sheet in freezer. 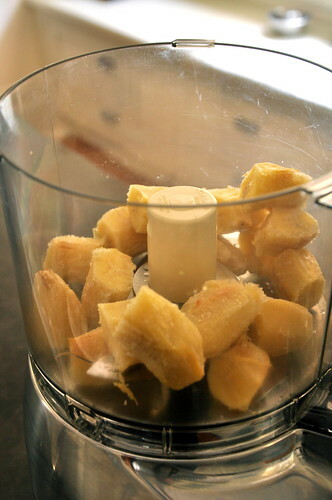 Once frozen, slice bananas and put in a food processor. Pulse until smooth and creamy. Serve with toasted peanuts and chocolate sauce for an extra special treat. Place it in the oven and freeze?